Following the publication of the THE world university rankings, we can put the three world league tables together, and in particular the UK placings, in a handy reference guide. They all offer their own unique take on world university placings. QS World Rankings 2012 also with UK results. Shanghai Jiao Tong World Rankings and UK placings too. …all your world league table needs in one handy location. 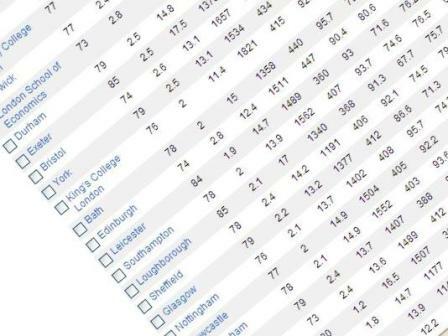 One fascinating quirk of the world versus UK tables which demonstrates why caution is needed at all times when dealing with such data is that the University of Edinburgh appears higher in the world rankings in both the QS and Times Higher tables than it does in the recent domestic Sunday Times ranking (where it is 39th). Different indicators being used but it really does raise questions about the Sunday Times methodology. …but we have to wait until November to see the 2009 Shanghai Jiao Tong University world university league table. Since the first publication of Academic Ranking of World Universities (ARWU) in 2003, we have received numerous requests to provide ranking of world universities by broad subject fields/schools/colleges and by subject fields/programs/departments. In addition, many top Chinese universities are interested in learning their positions in the world by subjects. In response to the requests, we have been studying the possibility of ranking world universities by broad subject fields. This is the final results of 2008 Academic Ranking of World Universities by Broad Subject Fields (ARWU – FIELD 2008); top 100 world universities in each of five broad subject fields are provided. The University of Nottingham does rather well in three of these tables: top 30 in Clinical Medicine and Phamacy, Top 50 for Agricultural and Life Sciences, and the world’s Top 100 universities in the Social Sciences.